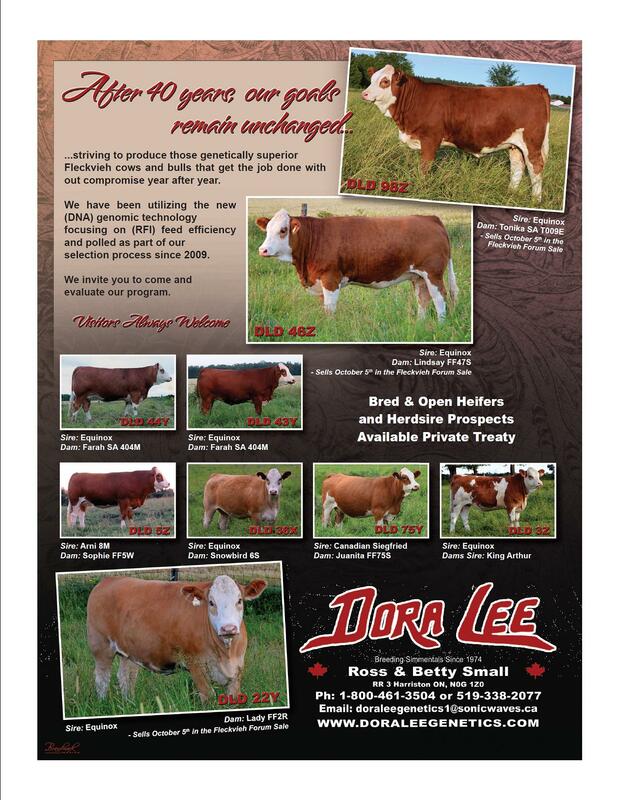 It is with a great deal of pleasure for us to present our Dora Lee entries for our Fleckvieh Forum sale on October 5, at the Bar 5 sales facility, Markdale ON. These 2 bred heifers and an exceptional heifer calf showcase our breeding program. All three are polled and daughters of our senior herdsire Equinox. His offspring are long bodied, well muscled and are making excellent brood cows. Lydia has exceptional genomic test results for feed efficiency and average daily gain. Tasha has been a stand out since birth, turning heads as folks tour our pastures. 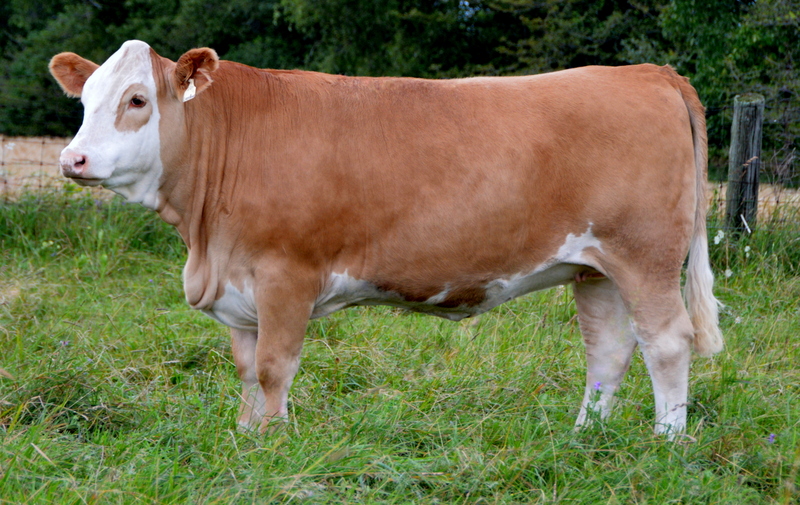 While attending the Buzzard Hollow sale in May, 2008, Fred had three flush mate sisters in the sale ring , selling one and retaining the other two. Tonika has impressed us from day one, moving quickly to the top of our leader board. We believe Tasha has it all, a blend of African and time proven genetics from our Equinox bull. 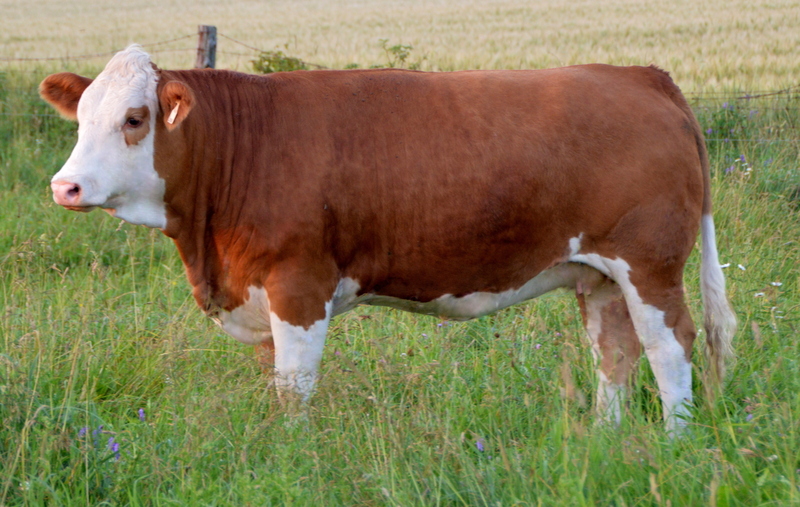 Take this impressive heifer calf home and breed her to the bull of your choice. It is our belief that she is the best heifer calf born here for some time. We also believe that Tasha will produce for her new owner like her mother has for us. When Tasha steps into our sale ring October 5th, it will be with a great deal of pride for Betty and I.
Lydia is out of a very productive and fertile female (Lindsay) who calves early every year and settles first service each year. Lady Asha comes from a strong cow family that has worked extremely well for us and is a grand daughter of one of our foundation females, SRN Ms Western 2Y. She is sired by our Equinox bull who is getting it done not only here in Canada, but also in the U.S, Sweden and South Africa. We believe that this is a winning combination. Lady Asha showcases her awesome length with lots of natural muscling. We have used the Pharao bull on our heifers with great success. 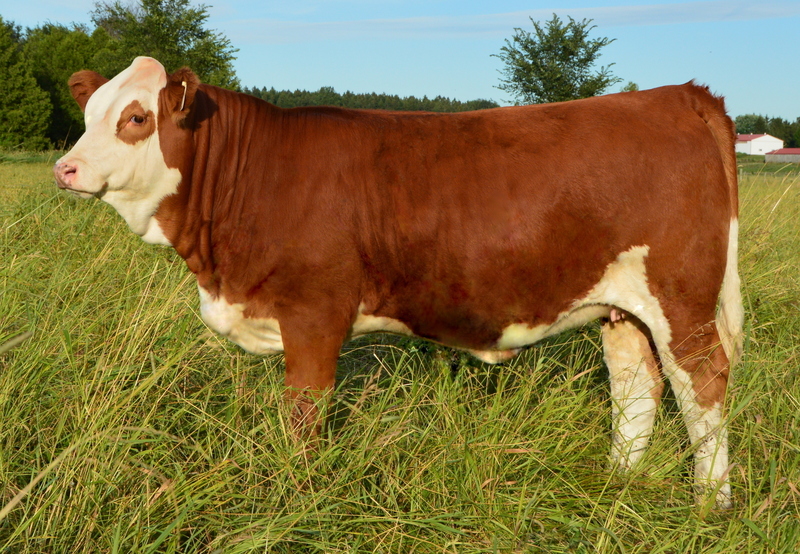 If by chance you may be looking for a powerful female with a family history of producing those top end bulls and heifers, we believe Lady Asha has what it takes to raise the bar.